Despite a federal court order to end the 43-year confinement of Albert Woodfox, the last remaining prisoner of the “Angola 3” will have to stand trial for a third time after a District judge on Monday denied a motion to dismiss the case. Woodfox, who has maintained his innocence in the 1972 killing of Angola prison guard Brent Miller, spent 43 years in solitary confinement in a case that has garnered international condemnation. Though the charges against him were dropped twice—once in 1992 and again last year—and despite U.S. District Judge James Brady granting him “unconditional release” last June, the state of Louisiana has doggedly pursued Woodfox’s prosecution. Albert Woodfox has endured over four decades in a cell the size of a parking space. His conviction has been thrown out three occasions. But each time his freedom has seemed within reach, the state of Louisiana has done everything in its power to keep him incarcerated. Woodfox was moved to solitary confinement before ever being convicted of murder. He has stayed there for four decades, through three overturned convictions, fighting to prove his innocence. Albert Woodfox’s case serves as a harsh condemnation of the U.S. justice system; he remains trapped in both a cell the size of a parking space and in a legal process tainted by racial discrimination, among other glaring flaws. Through all of this, the warden of Angola prison has continued to justify his ongoing isolation based on Woodfox’s association with the Black Panther Party. Judge Brady’s writ of unconditional release should have ended Albert’s ordeal, yet Louisiana Attorney General Buddy Caldwell continues to pursue a campaign of vengeance against him. It’s time for Albert Woodfox to walk free. Now, pending federal intervention, Woodfox will again be forced to stand trial in West Feliciana Parish where he was twice convicted, despite the defense’s request to change the venue. State District Judge William Carmichael on Monday also denied the defense’s motion to exclude testimony from deceased witnesses on the basis that they could not be cross examined. Carmichael did rule, however, that Woodfox’s attorneys would for the first time be able to perform DNA testing and compare Woodfox’s fingerprints to those found at the crime scene. Meanwhile, the 5th U.S. Circuit Court of Appeals is still weighing the state’s appeal of Brady’s ruling. 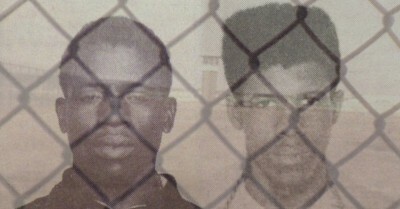 Supporters maintain that Woodfox, along with fellow inmates, Herman Wallace and Robert King, were wrongfully implicated and punished. King, who was held solitary confinement for 29 years until his release in 2001, continues to advocate for Woodfox’s release. After 40 years of solitary confinement, Wallace was released from prison on October 1, 2013, at age 71. He died the next day.